Just to rehash how to avoid this, I usually do the following method to add sponsors every month. 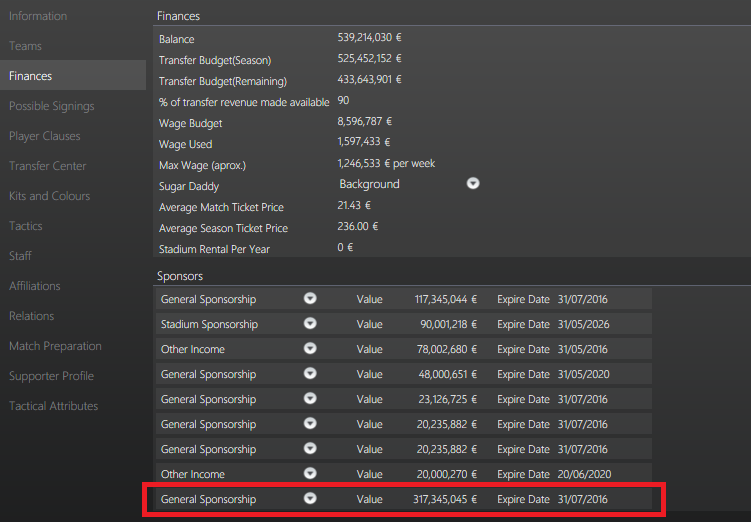 Eventually, you'll have enough sponsors to keep you away from FFP issues - though in your case, MacoBraco, I'm afraid this method won't help you much. 1. Go into your 'Finances' tab for your team. 2. Under 'Sponsors', look for the line titled 'Kit Sponsorship'. 4. Wait a month of playing time. 5. You should get a new kit sponsorship offer. Alter the deal however you like, then change the new 'Kit Sponsorship' to another type. how can I remove FFP in Pre Game for all european competitions? I think keeping FFP in the game makes it more realistic but the easiest way to repair FFP infraction once you get the warning like I did, just do what RunMarkoRun suggested, edit the club's Finance with sponsorships. In my case, I received a FFP infraction warning into my 2019/20 season with a projected $138M loss. 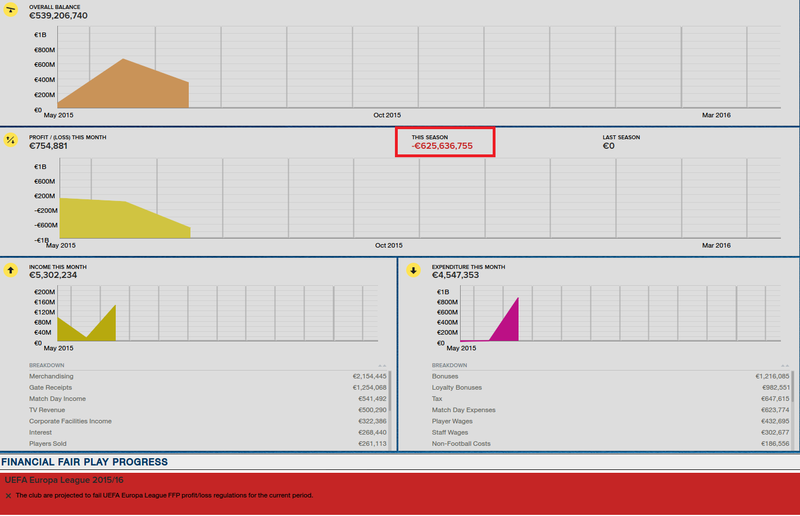 Went into the editor, looked for Additional Kit Sponsorship and edit the value to $900M with expiry date of 03/06/2020. It didn't let me choose a billion or more amount. Saved and progressed a few days and this turned over my previous projected loss for the period to a positive figure and cleared FFP.